With the recent feedback and requests on my Trapcode Form experiments, I thought I’d finally do a video sharing some tips on how to create some abstract particles using Trapcode Form and OBJ files. This is a rather simple tutorial where I’ll show you how Trapcode Form uses OBJ files, how to model a quick abstract OBJ model, and some quick stylization and camera tips. The key to pulling this off is to model an interesting object with a decent amount of vertices, and the camera angle you’re going to set in After Effects. When you’re modeling, try to visualize the points on your model and not so much your geometry. Trapcode Form does not render geometry, it renders points at all your intersection vertices on your model. To learn how to subdivide polygons and add more vertices, check out this tutorial. By using OBJ files, we’re able to achieve a more dynamic and interesting shape very quickly. 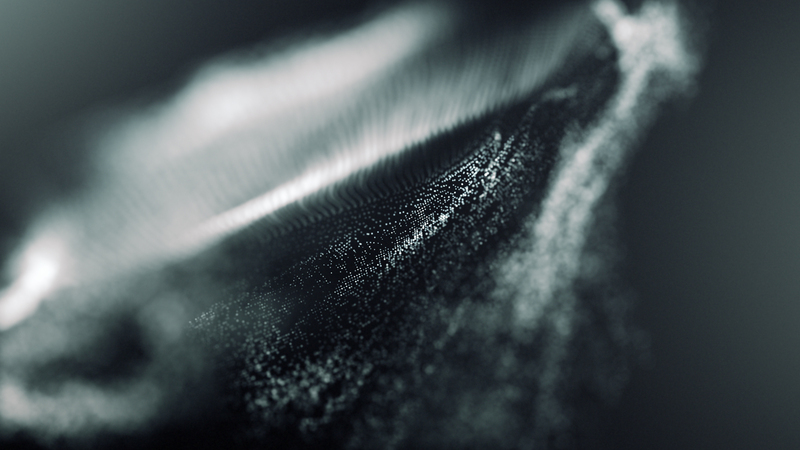 You could also use an OBJ sequence with Trapcode Form to create an even more interesting animation. With some depth of field, lighting and shading, and some interesting camera moves, you can pull off some beautiful particle renders. Try adding some light lens flares in your shot to add some ambient lighting. It’s best to work in 16bpc to reduce banding and to get some nice glows and highlights. Check out this video here where Imaginary Forces talks about how they created the Pacific Rim Ending Credits using pretty much the same method – finding an interesting spot, turning on depth of field, and adding the bells and whistles. The tutorial thumbnail was actually rendered using the exact same model we created in the tutorial, just at a different angle, a lens flare, and some tweaking to the grading. The possibilities are endless and you can create a whole different shot just by moving the camera around. Remember, you can do a whole lot more with this. I only provided you with a quick setup for using OBJs with Trapcode Form. Try adding in lights, turning on shading, adding more instances of Form, and have fun! If you guys have any questions, feel free to post them down below and I’ll get to them as soon as I can. Really nice work, always love seeing what you guys come up with using my tutorials! Thanks man. Keep up your great work ! Thankyou for clarify this for Form! Thanks for the awesome feedback, glad you liked the Form tutorial! They are definitely my favorite plugins as well! Thanks! Really appreciate the awesome feedback David! This is very awesome! I guess you can’t export obj’s from cineware? It would be beyond awesome if you would make a few and release them for the community, maybe a pack of ten? But seriously, thank you for another great Trapcode-related tutorial, looking forward for more. Especially about MIR, which is relatively a new plugin, and has not yet been covered as much as Particular and Form. http://avrogaming.com/ This is what I have come up with your tutorial still need to fix a few things ! Thank you Vinhson ! Thank you for the kind words and support Deon! You mentioned vaguely about an OBJ Sequence.. could you render out an OBJ Sequence from C4D and bring into AE + Form? and have form follow the animation from obj? Yes. Just render out a normal OBJ sequence and you can import that sequence directly into Form, similar to how you can do it with Element 3D, etc. I tried importing obj file intro after effects but it displayed an error that it is an unknown file or format. So how can i import obj models into after effects without error? Please help me. Install Form 2 properly and it should give you the ability to import OBJ. You could also use E3D. If you have trouble, contact Red Giant, etc. Have never done much inside C4D and this is exactly the tutorial I needed. Plan to redesign my music promotional channel by using this kind of abstract art. Hi! I have some problem, after adding this “FORM” filter these dots are blurry. Do you have some solution? hi ! wana ask something about trapcode form !